Ultra light weight tablet skins engineered with the finest 3M adhesive vinyl to maximize the protection and personalization of any iPad. Each tablet skin design is printed using state-of-the-art vinyl print technology to ensure vibrant and stunning graphics that showcase your passion. Choose your iPad model and shop all iPad skins. Personalize your Surface Pro tablet with superior tablet decal skins. 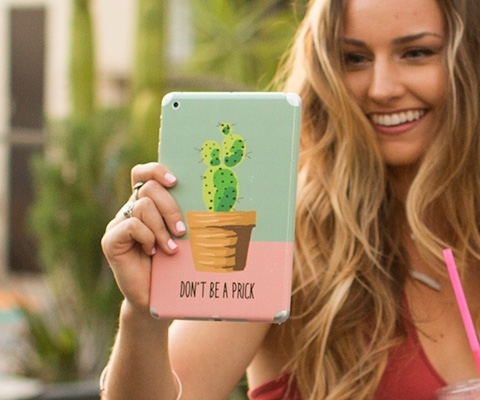 Make your Surface Pro Skin stand out and worthy of your own personal style. Select your Microsoft tablet model and shop all skins to find the design for you. Elevate your Galaxy Tab with Skinit's premium tablet decal skins. Make any Galaxy Tab model your by adding a touch of personal style combined with what you're most passionate abour. Choose your Samsung tablet model then shop the thousands of branded designs we have to offer. Be blown away by one of the largest good assortment of Kindle Fire Skins. Each premium tablet decal skin is created to help you express yourself. Skinit Kindle skins are constructed to be functional and fashionable. Choose your Kindle and browse all designs.